Check out some of my favorite recipes featured on E! 's 50 FOOD TRENDS YOU MUST EAT & DRINK BEFORE 2015!! Happy Halloween! It's that time of year to let your sweet tooth run wild! I'm serving up some unconventionally delicious fall treats. Enjoy! Cut your apples in half and use a melon baller to scoop out the insides, leaving the walls intact at about 1/2 to 1/4 inch thickness. Squeeze the juice from the lemon onto the apples and allow to set. This will keep them from turning brown right away. In a sauce pan over high heat, combine the brown sugar, butter, heavy cream and corn syrup. Stir until the brown sugar has dissolved. Allow to boil, stirring occasionally, until it reaches 230F, about 7-10 minutes. Remove from heat and add the vanilla, stir continually until it stops bubbling. Allow to cool for about 10-15 minutes. Using a paper towel, wipe your apples down, removing the lemon juice as much as possible. If the inside of your apple is too wet, the caramel wont stick. Pour the caramel into the hollowed out apples until just below the top. Chill in the refrigerator until the caramel has set, about 20 minutes. Cut into slices** and drizzle with chocolate sauce if desired. 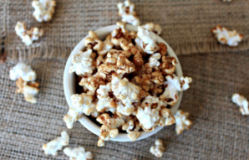 In a medium to large saucepan, place 3 tbs of coconut oil and 3 (yes 3) popcorn kernels. While the oil is heating up, measure out the 3 tbs brown sugar and place in a bowl. Once the popcorn kernels start to pop, add in the ⅓ cup of kernels and continuously move the pan over the heat. After about 1 to 2 minutes stir in the brown sugar, cover, and continue to move the saucepan over the heat until the kernels start to pop. Move the saucepan rapidly over the heat (be careful) holding onto the lid until the kernels stop popping. Place in large bowl, wait for it to cool a bit, and top with pumpkin spice, salt to taste, and extra brown sugar (optional). Stir. 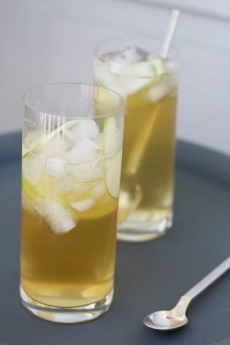 Muddle ginger, lemon and apple. Add Rhum. Shake with ice and pour over ice into highball glass. 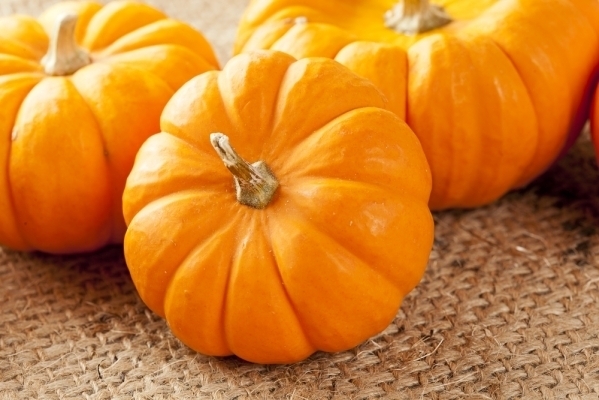 My favorite part about fall is the cooler weather and pumpkin flavored everything!